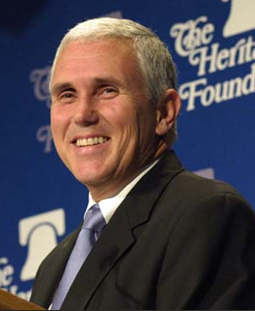 Pence: The bill is back. 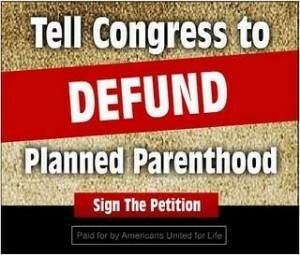 Scores of Representatives have signed on to a bill to defund Planned Parenthood and any other health care provider which also provides abortions. Amend[ing] the Public Health Service Act to prohibit the Secretary of Health and Human Service (HHS) from providing any federal family planning assistance to an entity unless the entity certifies that, during the period of such assistance, the entity will not perform, and will not provide any funds to any other entity that performs, an abortion. While federal funds may not be used directly for abortions, there is no question that the taxpayer dollars Planned Parenthood and other abortion providers receive are used to cover allowed expenses such as overhead and operational costs, thus freeing up other money to promote and provide abortions. In numerous cases, Planned Parenthood clinics funded by Title X are only steps away from their abortion clinics, many times even in the same building. There are now more than 160 co-sponsors — Republicans and some Democrats — who are coming together to say that no more public funding will flow into Title X clinics. I believe we’re reaching a point where we can end public funding for Planned Parenthood once and for all. That’s right, not end funding for abortions, but end funding for Planned Parenthood. would have a devastating impact on women’s and rural health by denying health centers across the country federal funding (through the Title X family planning program) for preventive care, including family planning, annual exams, lifesaving cancer screenings, contraception visits, and testing and treatment for sexually transmitted infections. A related bill, HR 3, is the “No Taxpayer Funding for Abortion Act” introduced by Christopher Smith (R-NJ). This bill would prevent any Federal funding for any health benefit coverage which includes coverage of abortion. In other words, the health insurance coverage for Federal employees could not include abortion coverage. Medicaid could not include abortion coverage. Any state-level health benefits receiving any federal funds could not include abortion coverage. Please note that it is presently not legal to use Federal funds to perform an abortion; this bill prevents the insurance plans from covering the procedure if they are to receive or are paid for with any amount of Federal funds. OneNewsNow asks in a poll whether you would “cheer or jeer” if Congress defunded Planned Parenthood. What do you think? 3. 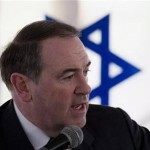 Anti-Abortion Groups to Use MLK Day to Protest Houston "Abortion Supercenter"
Is this Mike Huckabee's plan for Israel? There used to be an unwritten rule against American politicians undermining American foreign policy overseas. Here at home, no holds barred; but beyond our borders, let’s keep our differences among ourselves, and pretend that America presents a united front. That’s one more rule that now applies to everyone other than God experts. Rev. 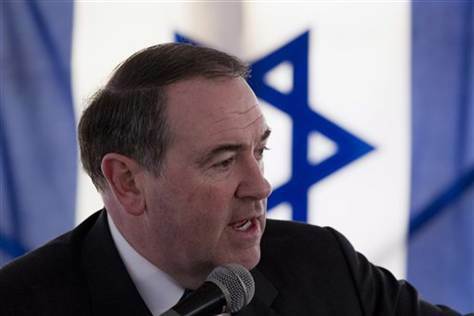 Mike Huckabee, who currently leads national polls for the Republican presidential nomination next year, was in Israel a week ago blasting away at a longstanding bipartisan principle of American foreign policy: the “two-state” solution for Israel and Palestine. This is the proposal in which the hundreds of thousands of Arabs kicked out of Israel would have their own semi-country in the territory illegally occupied by Israel since 1967. There can’t be much doubt that the river of Egypt is the Nile. As shown on the map, the territory from there to the Euphrates would encompass all of today’s Syria and Jordan, and huge chunks of Egypt and Iraq as well – including most of the Iraqi oil fields, which must be why God placed them there. What this particular mapmaker overlooked, though, was the list of peoples God put under Jewish control. We don’t know much today about the Perizzites, but we know a lot about the Hittites, and what we know tells us that God gave the Jews control over lands extending all the way north into central Turkey. Does Rev. Huckabee really mean to expand Israel’s borders from Cairo to Basra to Ankara? He hasn’t said that in so many words, but when he talks about “the place that God gave them” as being occupied by “Persians” as well as Arabs, and then refers to today’s Israel as just a “tiny postage-stamp-size piece of land,” one has to wonder. This is the guy who warns audiences that “If we don’t adhere to what we believe to be our biblical and eternal principles, then we have no reason to complain when we lose those principles in the public marketplace.” If God’s covenant with Abram and his seed isn’t a biblical principle, I don’t know what is. That’s certainly the view of many Jewish God experts, and they are not shy about saying so. 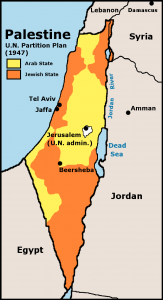 When Israel was created by the United Nations in 1948, it was assigned territory far smaller than its current borders. War immediately broke out between Israelis who thought their allotment too small and Arabs who thought there should be no new state at all. The better-organized Israelis won, and in the process sharply increased in size. 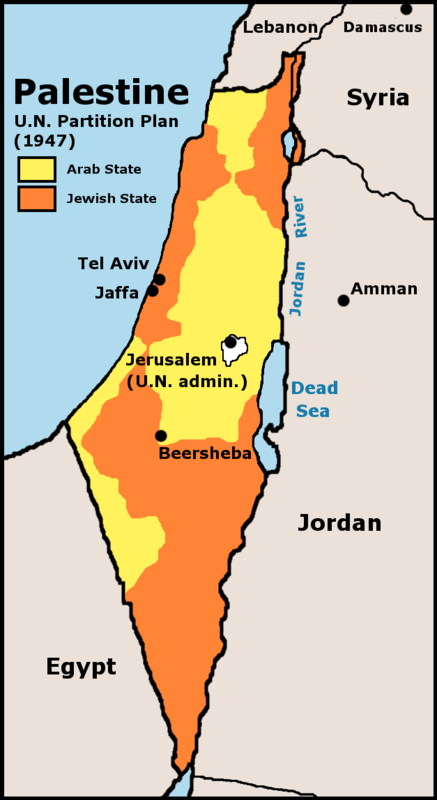 Recognition of the conquests by most of the international community and admission to the UN legalized these enlarged borders, but Israel was still dissatisfied. 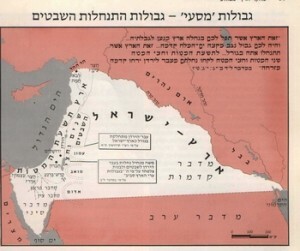 The Israeli constitution pointedly refused to limit its boundaries, and the official Government Year Book 1951-2 boldly proclaimed that “The state has been established in only a portion of the Land of Israel.” Five years later, Israel launched a sneak attack on Egypt in an effort to win more territory, which was only thwarted by the steadfastness of President Eisenhower. Eleven years after that, another sneak attack won the real prize, Jerusalem and lands along the Jordan’s west bank; we haven’t had an Eisenhower since then to make them give it back. There is only one nation to whom the land belongs in trust and by covenant promise, and that is the Jewish people. No temporary demographic changes can alter this basic fact, which is the bedrock of the Jewish faith; just as one wife does not have two husbands so one land does not have two sovereign nations in possession of it. To be perfectly fair and balanced, I agree with part of what Huckabee said. Jews ought to be free to live wherever they feel like living, including any particular housing lot that happens to lie between the Nile and the Euphrates. Where we differ is that I think non-Chosen People Arabs should have exactly the same right. I also agree with Rev. 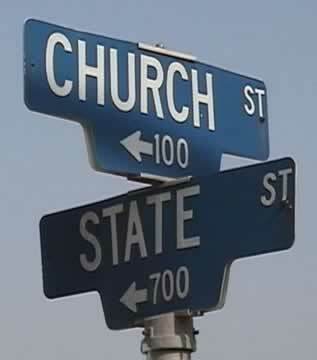 Mike that the two-state solution is a terrible idea; history proves that dividing territories along denominational lines enhances God expert power on each side of the line, a guaranteed prescription for disaster. 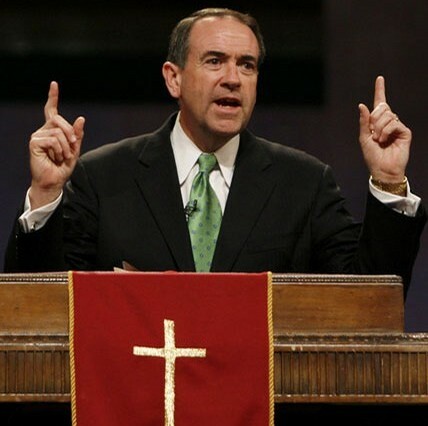 Huckabee ought to lift up his eyes from his Bible long enough to take a look around the good old US of A, where Jews and Muslims live side by side in nearly perfect harmony. Why? 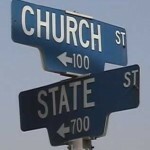 Because here we have a largely secularized government (at least until Huckabee wins), that for the most part neither promotes nor punishes any religious belief, that doesn’t countenance private discrimination against religious belief, and that bases at least most of its laws on what people think makes sense, not on what some expert says is God’s will. If the governments in Israel and its neighbors would agree to apply this model to themselves, with some sort of credible internationally-backed mechanism to enforce it, the single greatest threat to world peace would disappear – what would there be to fight about?